Mother’s Day is May 13th and here at deBebians, we have lots of jewelry gifts any mother would love to receive. From rings, to necklaces, to bracelets and more, be sure to check our vast selection of jewelry items that would be perfect for any mother to receive on this special day honoring all the moms. Being a mother of two myself, I now realize what it entails being a mom and I love that there is a unique day every year honoring all the mothers. Here are a few gifts that any mom would love to receive this Mother’s Day (or on any other special occasion such as her birthday or anniversary. 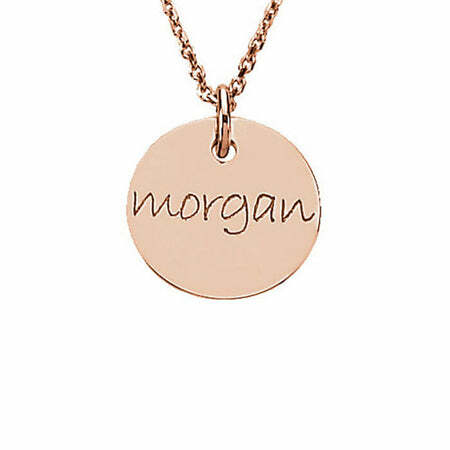 This personalized gold disc necklace can be customized with your child’s name as well as their date of birth on the back. Being a mom myself, I know how special a gift like this can be to represent your child. You can look at it and smile, knowing how much you love your little guy or little girl. Also, being a necklace, it’s always close to your heart…just like your child! 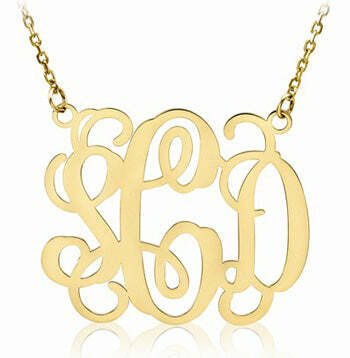 This script monogram pendant is a great gift too for Mother’s Day. Typically we sell this with a customer’s own initials, but a friend of mine has a piece like this representing her two children. The center larger initial is her last name and the initial on the left is that of her first born and the initial on the right is her second born. What a cute idea, right? 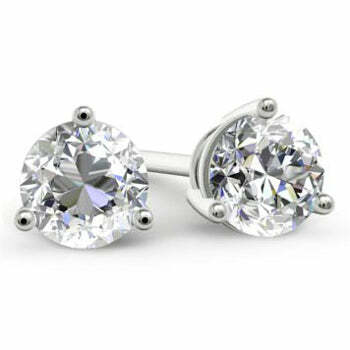 If you really think mom deserves something really special, perhaps consider these round moissanite studs. Studs are a great staple in any woman’s wardrobe and these are something she can and will wear every day. She will be blown away when she opens this Mother’s Day gift! If you need help selecting the perfect Mother’s Day gift, do not hesitate to call on us. We have gifts in any price range and can help guide you in your selection. We look forward to assisting you! Happy shopping!